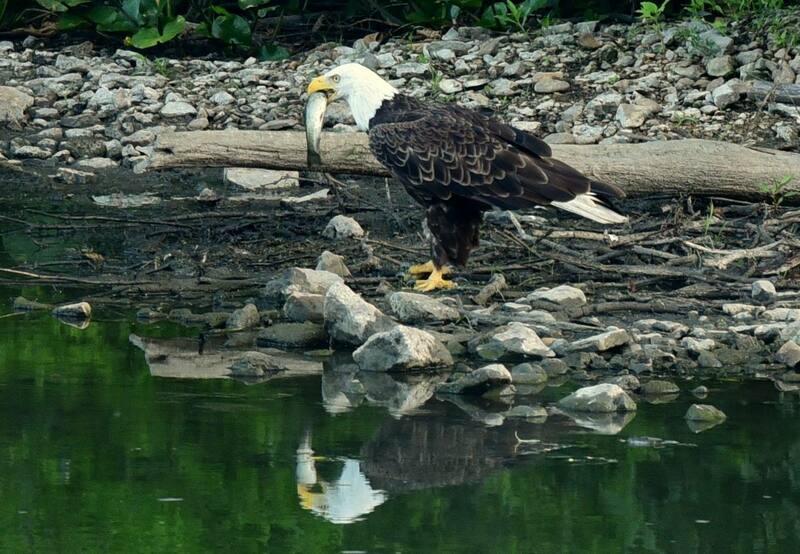 We’ve long admired local photographer Bill Peterson’s nature, bird, and wildlife pics. A professed amateur, Bill is as modest as he is talented; his lens captures the abundance of natural beauty on display up and down the Fox River and throughout the Aurora Area. Bill is a prolific, generous artist, too, sharing his latest and greatest shots freely with anyone who follows him on his Facebook page. 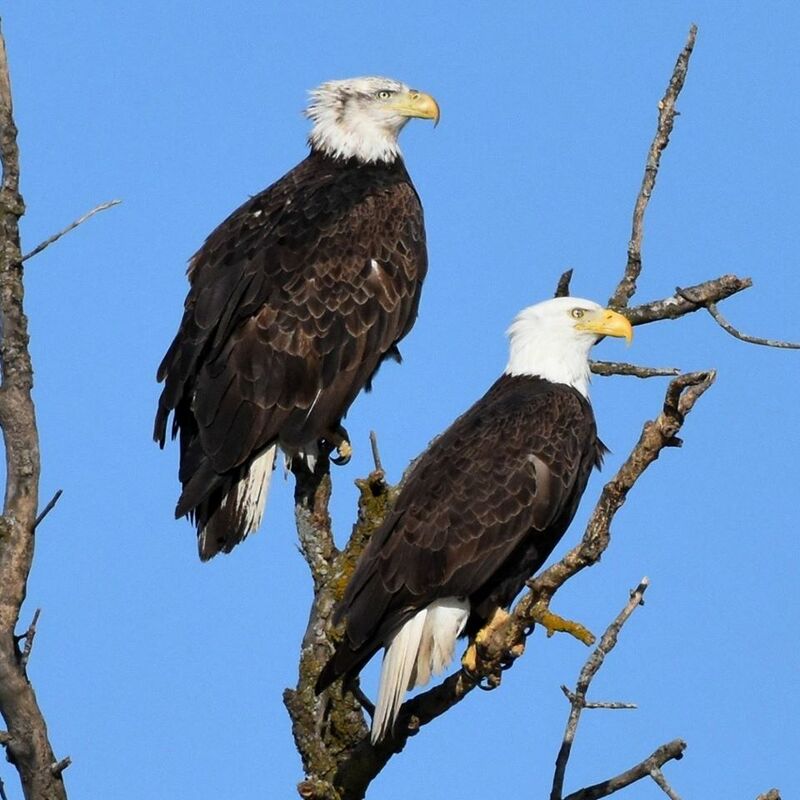 With the southern migratory bird season in full swing along the Fox River, we thought now would be a good time to talk with Bill about his work and eagle spotting in the Aurora Area. EnjoyAurora: What’s your favorite aspect of shooting photos in the Aurora Area? Bill Peterson: I like shooting nature on the Fox River because of the intimate size of the river. It’s easily accessible though the great park systems in the area, and there’s a huge variety of wildlife. One day you’ll see eagles, the next deer, the next could be foxes, coyotes. We’re very rich in wildlife here. EnjoyAurora: I noticed you were down in Yorkville recently. Do you kayak? Can you tell me about some of your favorite spots to visit? Bill Peterson: I really like Bulldogs Cellar & Bar in Batavia. Can’t beat the pig roasts at Harner’s in North Aurora. Fireside Grille in Sugar Grove. And in Yorkville I always go to Freeman’s Sports for the barbecue at Southbank Original BBQ! I don’t kayak, but it’s always fun to watch them at the Marge Cline Whitewater Course in Yorkville. Too many great places to go and be merry in the area to mention. EnjoyAurora: What tips would you provide for anyone who’s coming out to visit and maybe spend a couple days photographing the area? Bill Peterson: If I were coming out for a weekend, I’d book one of the many hotels around and get an early start in the morning. Lots of folks travel much farther to the Oregon and Galena areas, but I think (and I’m being honest), the Fox Valley area offers as much or more wildlife, canoe, and kayak opportunities as any other place in the state, let alone the Chicagoland area. The fishing on the Fox River is just awesome: smallmouth bass, walleye, not to mention muskies up to 48 inches have been caught here. There’s really good golf courses and entertainment around the area, too. It’s all only 45 minutes from downtown Chicago. You can come here for a weekend of wildlife photography and not see another photographer along the river. 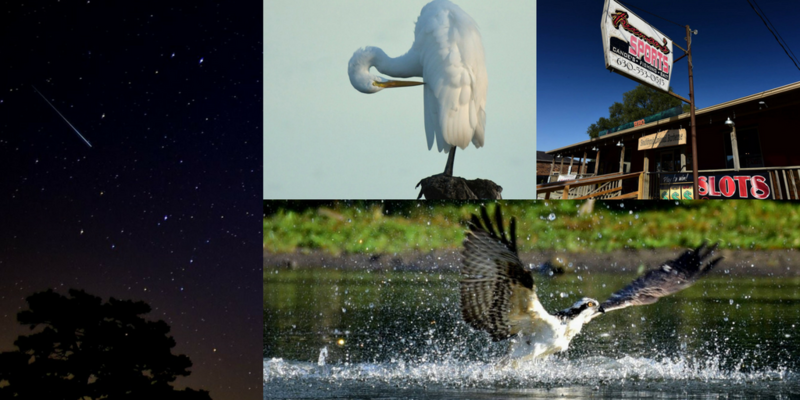 There are huge bird migrations along the Fox River, both in spring and fall. Any of the parks can be very good spots for bird watching or photography. Come out on a Friday or Saturday, spend the mornings shooting, and you’ve got eagles, owls, herons, egrets, ospreys, all to yourself and you can be back home in time for a 12 o’clock kickoff on Sunday. Thanks to Bill for sharing his time and his photos with us. You can follow Bill Peterson's photography on his Facebook page.